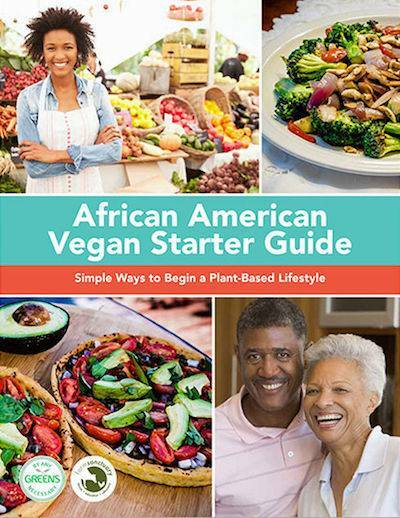 Download your FREE PDF - African American Vegan Starter Guide! Brought to you by Tracye McQuirter, MPH, public health nutritionist, 30-year vegan and national best-selling author of ByAnyGreensNecessary.com in partnership with Farm Sanctuary. And sign up to receive more free vegan tips! Get healthy and feel great for life with Tracye McQuirter, MPH, at ByAnyGreensNecessary.com.